If you felt a little water logged last month, it’s for good reason. Most of us in the Maryland, Delaware, Virginia and Philadelphia region had about 10 inches of rain fall on us during September, according to the National Weather Service. Old and failing windows might have met their match. 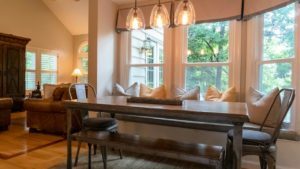 Here are tips to figure out if you can fix a failing window or if it’s time for replacement windows in your home. Old and failing windows were put to the test this year as 2018 is adding up to be one of the wettest years we’ve seen. 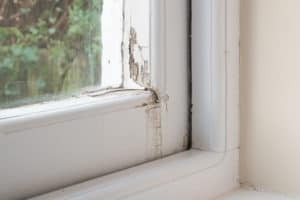 If your windows’ sills are damp or water has leaked inside, you risk unhealthy mold growth even inside walls where you can’t see it. Water can also warp your home’s floors and do damage to your home’s walls and ceiling. Check the exterior windows and doors casings each year for peeled or damaged caulk. Lack of overhang to keep wind-driven rainwater from battering the windows. An inward angled fascia (which is the board running above the window horizontally) can channel water into the window exposing any weakness of the window or the seal. To find out where the water is getting in, take a hose to your home in sections to pinpoint the source. Once you do you can determine if loose or improperly installed siding is your culprit. Take a look at your gutters. Are they clogged and forcing water where you don’t want it? Are they undersized for your home? Perhaps your home needs a gutter system. If you find cracked or damaged caulking, making a clean seal could solve your problem. Pick a dry day to examine the entire frame to find the spot where water is infiltrating the window unit. Don’t add good caulk to bad. First remove damaged or cracked caulking and paint. Sometimes leaking water is finding its way into your through your window sills or frame but is actually coming from your roof. Missing shingles or a failing roof system might be your culprit. Have a roofing expert conduct an inspection of your roof system. It may be a leaky window is a just a drop in the bucket to the other issues with failing windows. 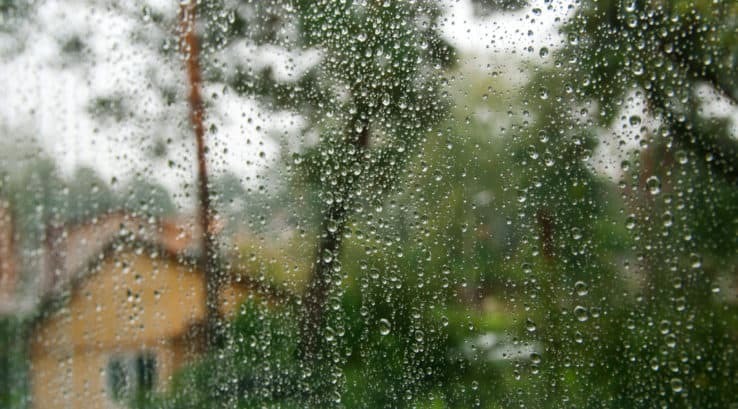 Your window may be allowing just enough moisture for mold to grow creating unhealthy home air quality. An ill-functioning window is likely also costing you money in heating and air-conditioning. In some cases full replacement windows are your home’s best bet to restoring a healthy air quality and energy efficiency to your home. Call a Thompson Creek Window Company expert today for a free diagnosis and replacement window quote.